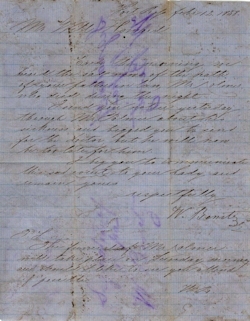 Between 1852 and 1863, Thaddaeus Benitz in Endingen, Baden, received a series of letters from his brothers in the Americas. Amongst them are many written by Wilhelm / William. These letters provide us with a wealth of information about William’s exploits, particularly at Fort Ross. 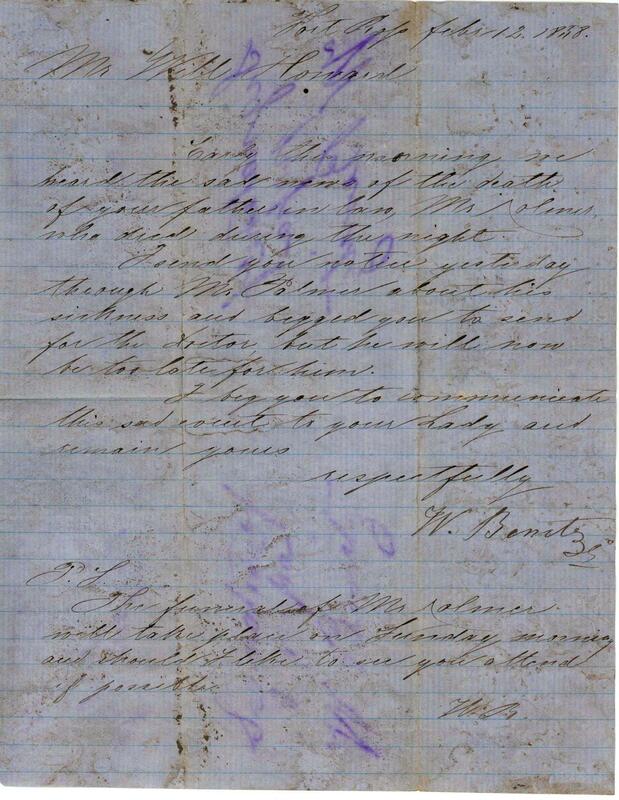 This letter, from William to his brother-in-law Dutch Bill Howard, is one of the few examples we have of William’s handwriting. Another good example, is the list of his children, available on the Vital documents page. Early this morning we heard the sad news of the death of your father in law, Mr Kolmer, who died during the night. I send you notice yesterday through Mr Palmer about his sickness and begged you to send for the doctor, but he will now be too late for him.